Our Library Learning Commons will be a comfortable place where our students and staff can share, learn, and grow together. We would love to hear about books you love, or books you would like us to purchase. Comments and suggestions are welcomed! 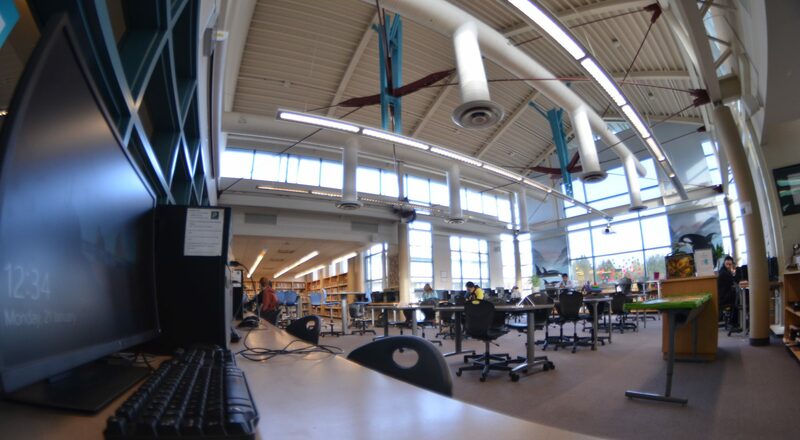 The library is open before school, at breaks, at lunch, and after school, Monday through Friday. During classes students may come and use the library on their own with a library pass their teacher provides. The date due is stamped on the bookmark placed inside your item. Please be considerate of others and return your books on time, others may be waiting to borrow these items.